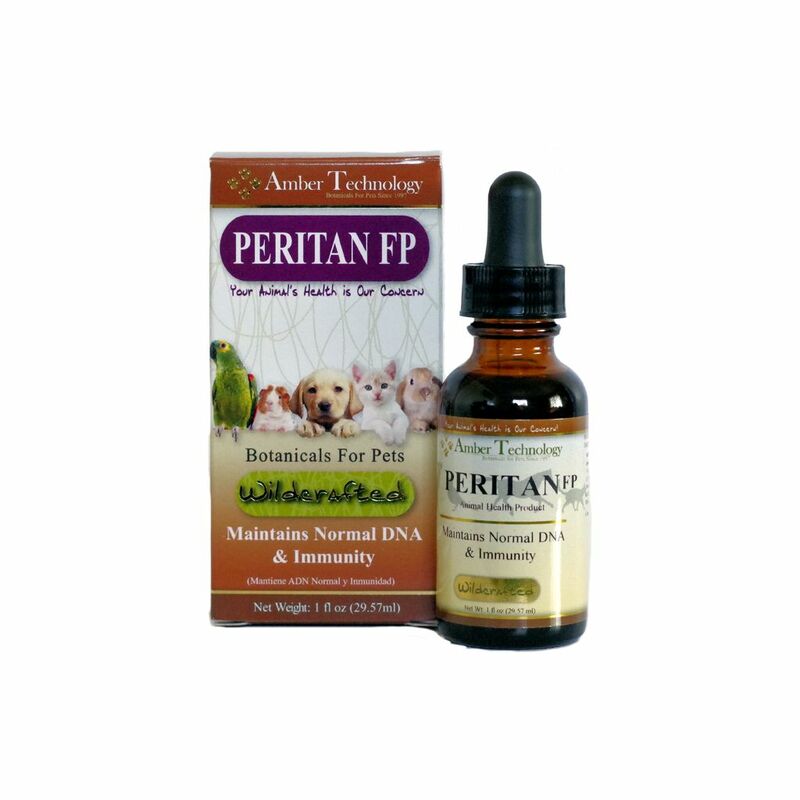 Peritan FP is a natural blend of herbs designed to provide antioxidant support and help maintain normal DNA and the immune system. Animals experiencing occasional gastrointestinal upsets, along with immune challenges due to dry or wet environmental conditions can be unpleasant for both pets and owners. Peritan FP can also be administered for a long term use in animals seeking longevity and total body health, for best results use with Amber Technology's Radox & Vibactra Plus. General: give orally 4 times daily for 10 days. Long term: give orally 3-4 times daily until no longer needed. Peritan FP Can Be Used With All Amber Technology Products.